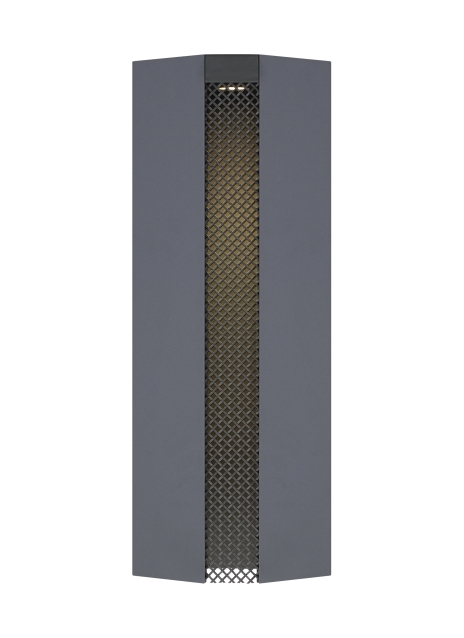 The Root outdoor wall sconce by Tech Lighting features a line of diffused LED light aimed for downward grazing of outdoor passageways or paths. The hexagonal shape and style of the Root bring a very contemporary look and feel to any outdoor space. This geometrically inspired light fixture can be installed with an open aperture, optional weaved wire mesh or perforated metal diffusers for heightened visual interest. The Root comes in two on-trend finishes, Bronze and Charcoal. Length -- Choose -- 20"